Cheryl Ann Beam, 62 of Marion, OH passed away on April 30, 2018 at Marion General Hospital. 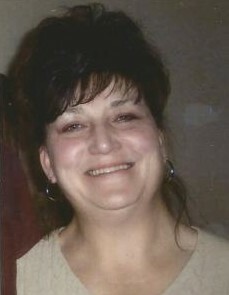 She was born September 10, 1955 in Port Clinton, OH to the late Carl F. and Nina (Smith) Baker. Cheryl graduated from Vanguard Vocational School in Fremont, OH. She was very well known around Marion and also Port Clinton. Previously Cheryl worked at Century 21 and then became a hairdresser , later on she started working at BP Gas Station in Marion. She is survived by brothers, Ronald E. (Loretta) Baker Sr., of Thornville, OH; Daniel L. (Carol) Baker of Lacarne, OH and Terry A. Baker of Marion, OH. ; and sister Karen L. (Richard) Goodman of Port Clinton, OH. Cheryl is preceded in death by siblings, Gary A. Baker, Kenneth R. Baker, and Galen F. Baker and her parents Nina and Carl Baker. Services will be held at a later date. Arrangements entrusted to Edwards Funeral Service.